This open concept, split floor plan home boasts beautiful walnut hardwood floors throughout the living areas and all four bedrooms. The two car garage has an additional door leading to the back yard that makes accessing the lawn well, pump and automatic sprinkler system a breeze. The huge kitchen provides both a breakfast bar and space for a table and chairs. The home also features a formal dining room. All appliances are stainless steel and convey with the home including the washer, dryer, and refrigerator. 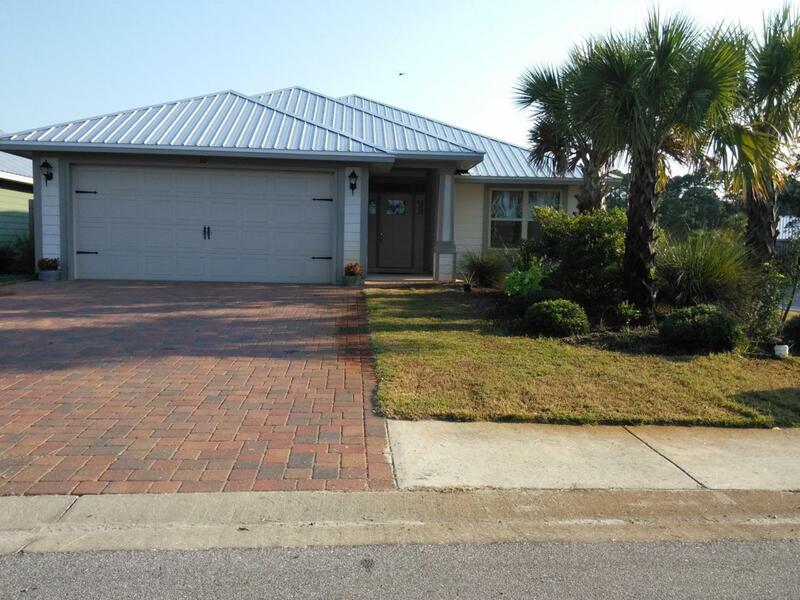 Eagle Bay is conveniently located only 3 miles from Sacred Heart and Grand Boulevard. Access to Choctawhatchee Bay is only two blocks away. Listing courtesy of Barnes Real Estate Brokerage.